Yu Er Rong slowly and deliberately takes his Chinese ID card out from his pocket. He leans forward, pointing to the birth date typed next to his grainy headshot. “October 17, 1949,” Yu says, just in case there’s any doubt that he is a child of New China. Though the retired government infrastructure worker from Shanghai describes himself as shy and his life as uneventful, words overflow when he talks about his nation’s astounding journey since 1949. “The most undesirable thing that’s happened to me and the country was the Cultural Revolution. It was like 10 years in prison, an extremely bad memory for my generation,” Yu says. China has come a long way, and now, in its 60th year, there are many achievements to look back on, and many developments to look forward to. It is even more momentous than other milestone anniversaries. 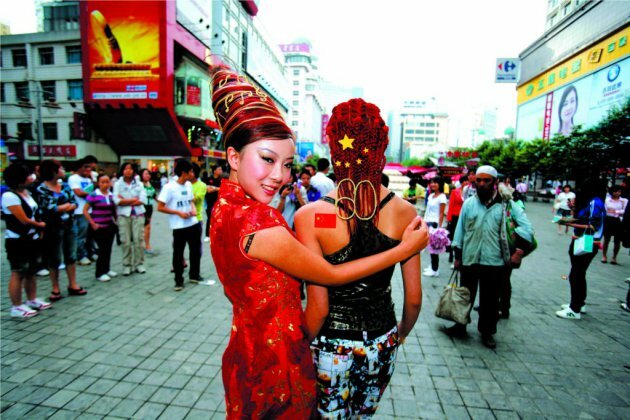 In China, 60 is when one comes full circle according to the Chinese principles of feng shui and the lunar calendar.